For many, the new year means a new beginning… Until February. Studies show 80% of New Year’s resolutions fail by the second week of February. This is discouraging news. Especially for those of us who set New Year’s resolutions. But by the second week of February, you’re feeling discouraged. The progress you thought you would have made by this point hasn’t been realized. You feel like a failure. We get discouraged when we don’t see progress. We believe we should see extraordinary progress. Reality is you will see incremental progress. It is easy to forget you didn’t walk before you ran. You had to learn how to say simple words before you moved onto complex words. The slow progress begins to speak lies within your mind. And you begin to believe them. This is why we fail at New Year’s resolutions. We overestimate what we can do in a short amount of time compared to what we can go over the long haul. We have to break free from this kind of mindset. Will this be the year you become new? Will this be the year you change your life? The answer is up to you. You have to choose to be consistent and persistent in reaching your goals. To become new this year, you will have to brush aside the negative thoughts of a lack of progress or the appearance of progress. You will have to tell yourself to stick with the plan. If you created a well-thought-out plan, you need to stick with it. This is what will help you transform. Know you won’t see instant results. Your life isn’t a microwave. You can’t think it and then instantly become what you think. Rather, you have to work on yourself. You have to put in the time, the effort, the pain. Only when you stick with the plan to get you from point A to point B will you see true change begin to happen. You can do this. I know you can. 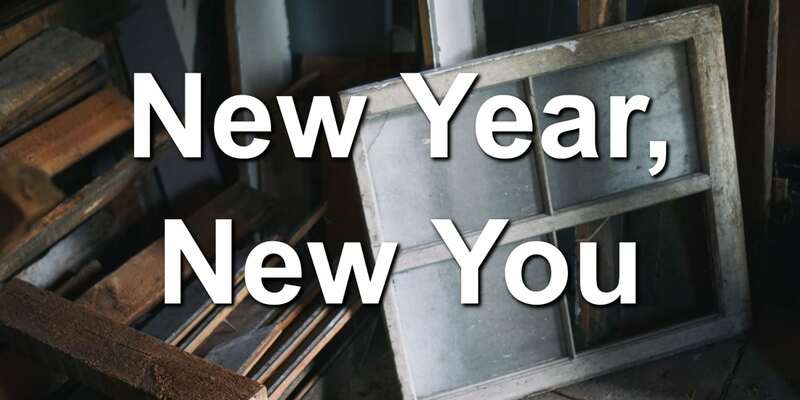 Question: What are you doing in this new year to become a new you? Share your thoughts in the comments below.